Italian philosopher. German language lecturer at the Scuola Normale di Pisa, he taught history of philosophy in Pisa until 1958, then moral philosophy at the University of Florence. Having studied in Germany with Nicolai Hartmann and Martin Heidegger, he tended towards existentialism. After the Second World War, he abandoned the existentialist perspective for Marxism. Member of the Italian Communist Party, he was also an Italian senator. 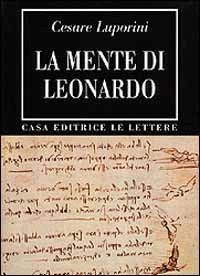 Main works: Situazione e libertà nell'esistenza umana (Firenze 1942); Filosofi vecchi e nuovi (Firenze 1947); Voltaire e le «Lettres philosophiques» (Firenze 1950); Spazio e materia in Kant (Firenze 1961); Dialettica e materialismo (Roma 1974); Leopardi progressivo (Roma 1980). Bibliography: Quarant’anni di filosofia in Italia. 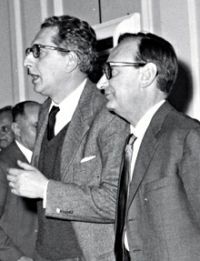 La ricerca di Cesare Luporini, fasc. monografico di «Critica marxista», XXIV, novembre-dicembre 1986; Il pensiero di Cesare Luporini, Milano, Feltrinelli 1996; F. Cirilli, Luporini, Cesare, in Dizionario Biografico degli Italiani, vol. 66 (2007); R. Mapelli, Cesare Luporini e il suo pensiero, Milano, ed. Punto Rosso 2008. The library of Cesare Luporini and of his wife Maria Bianca Gallinaro was donated to the Scuola Normale, which formally accepted it on 14 July 2004. The resulting list can be ordered by author, title or year.